Mark Hamill has confessed being asked to reprise his role as Luke Skywalker in 'Star Wars: Episode VII' was an "unexpected gift"
Mark Hamill says his return to 'Star Wars' was like an "unexpected gift". 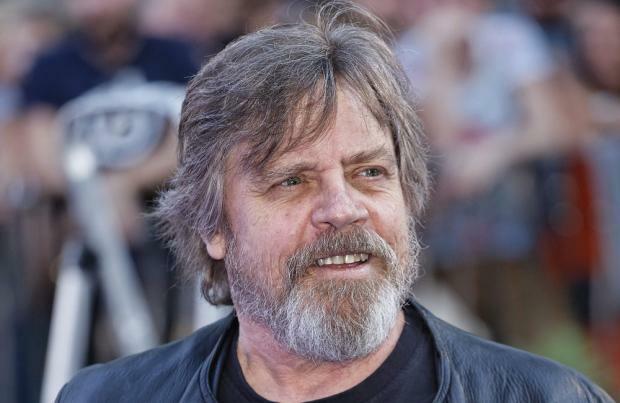 The 62-year-old actor starred as Luke Skywalker in the original 'Star Wars' trilogy and reprises his role in the upcoming next instalment 'Star Wars: Episode VII', and he's confessed he never imagined he'd be given the opportunity. He said: "It's certainly unexpected. We had a beginning, a middle and an end - I never thought we'd come back. I still can't believe it's happening, and to go on to those sets that evoke so many memories, it's just astonishing. It just feels like an unexpected gift." Although Hamill is also joined by his co-stars from the original trilogy - Harrison Ford and Carrie Fisher - in the sci-fi follow-up, a host of new talent has also been signed up to star and he's revealed he wouldn't dream of giving them advice. Speaking to BBC News, he said: "I thought even if they [Disney] did the trilogy, that we [himself, Ford and Fisher] wouldn't be involved because it's really about the new generation of characters, you know, we're just there to lend support. "These kids, they're not kids but they're so talented I was just overwhelmed. They're all so diverse, there are people I recognise like Andy Serkis and new people I'd never seen before like Daisy Ridley but they're so good that I'm thinking of asking them for advice - I don't want to give any myself."